Our zesty, uplifting organic clementines are mostly grown by a co-op of growers in Sicily, for a Vitamin-C-Filled shot of sunshine in winter. You might find the odd pip, but they’re worth it for the flavour! Enjoy as they are (wrapped by nature, perfect for portable snacking), or use to add mouth-watering sharp-sweetness to juices, salads and desserts. Clementines are excellent in juices or sorbets, or spiced salads with roasted roots and tangy cheese. Because ours are organic, you can use the zest too (no need to worry about pesticides or wax). Feeling decadent? Gently poach or caramelise your clementines, and eat with cream for a festive dessert. Clementines are a variety of mandarin orange. In the Summer we source ours from South Africa. The European season starts in October with green skinned satsumas (still sweet and juicy) followed by Nules in November. 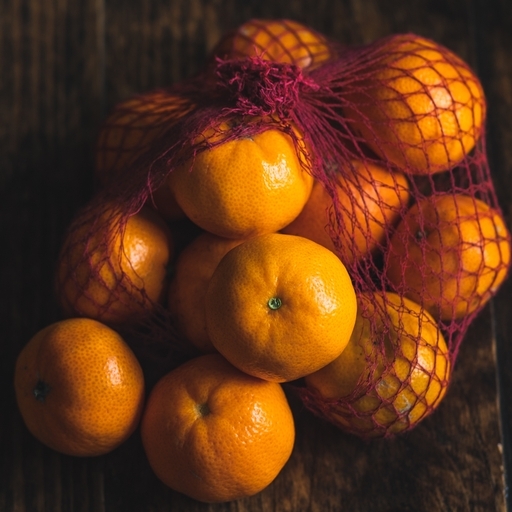 Clementines, satsumas and tangerines are all varieties of mandarin oranges. Our clementines are sold as class 2. This means that they might not look cosmetically perfect, but they are grown for the very best flavour. (We have to tell you this to satisfy some EU rules).